We are in the process of updating our website with some exciting new developments. We are still in the testing phase and we would love to hear your thoughts and feedback. Mobile friendly, including option to customise the home page to your favourite Masjid. 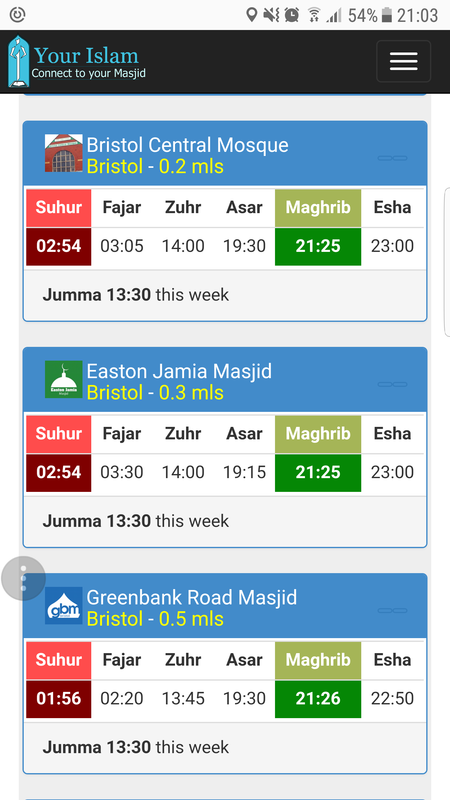 Easy for users to add their Masjid timetables, ready for expansion to other cities. Please note this site is still under development and we will let you know when it is fully operational. In the meanwhile we plan to run both websites (www.yourislam.org) and www.yourislam.co.uk) in parallel. We welcome any feedback you may have. Jazakallah Khairoon.